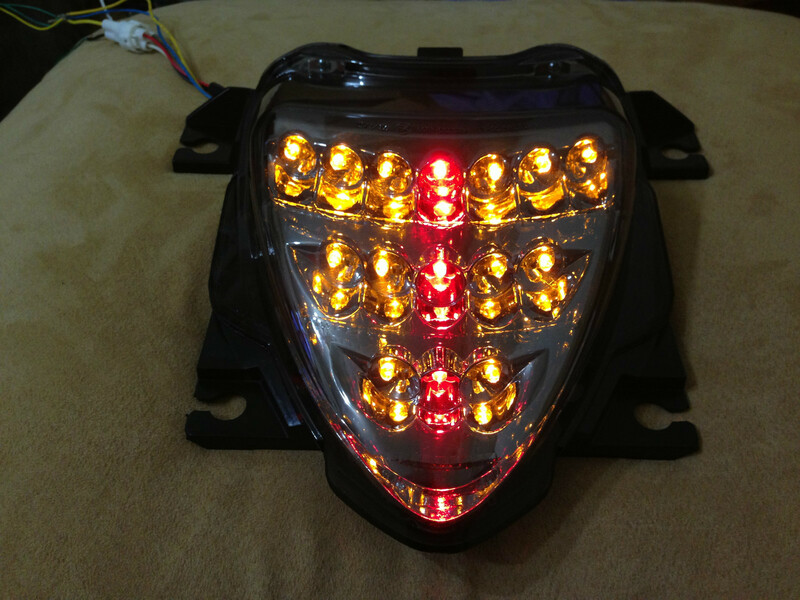 We develope M109R exclusive Projection HID with High/Low beam CCFL comes in 4 different colors selection for fit M109R stock head light body. Not like normal project light comes from car fog. The customer chooses which brightness HID (4500K, 6000K, 10000K) they would like: 4500K (Amber), 6000K (White), 10000K (White w/Blue tint). The customer also chooses the color of the the Devils Eye(back-ground). This headlight has a color changing feature. 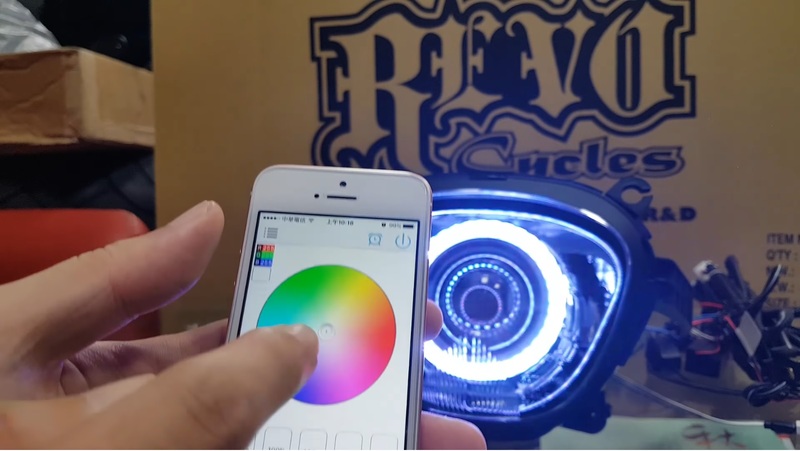 By downloading a application on your smartphone you can control the ring color, with various changing modes. This Projection Headlight switch uses the same stock setting. Hi/Lo beam use same stock, and our standard setting is CCFL hold on stock position light. You also can do this setting. 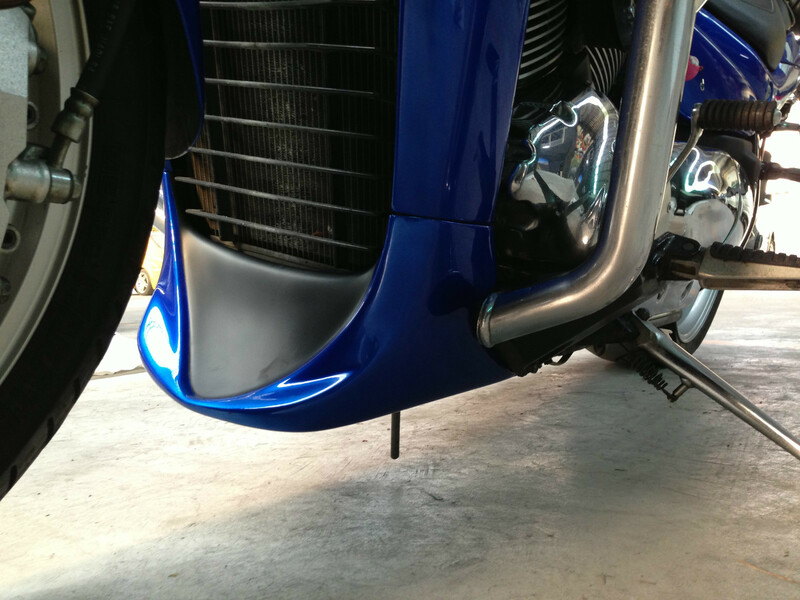 A: 1 switch to control the CCFL (Halo and Devils Eye) and 1 switch to control the HID Projection Headlight. B: 1 switch that operates like the stock Hi/Lo switch, Hi is HID/Lo is CCFL. This HID Projection Headlight is a complete replacement for the stock headlight assembly. Please tell us what color you need in Back-Ground and the brightness when you place order. To activate the HID press the passing light or high beam. You may return most new, unopened items for a full refund within 30 days of delivery. These items should be in their original packaging and have their serial number(tracking number). Special order returns are at our discretion on a case by case basis. If you would like to make a return or exchange, you must contact us by email before returning your items.